A film made by Cuppa Tea TV about the fantastic fundraiser this Christmas. A lovely watch, beautiful story and perfect with a cup of tea! #ChristmasNo1 was a huge success thanks to all involved!! Volunteer Don O'Sullivan speaks on Clare FM about the #ChristmasNo1 project. He tells his story and the story behind the song. Listen to this great interview here. ​Finding Banni is a documentary about a boy in Gorodishche, Belarus. BCP brought him to Ireland where the Flynn family raised him as one of their own. It has been nominated for a European Television Award. If you missed the documentary in November it will be repeated on Wednesday May 31st on RTÉ One. Well done to Colm Flynn on the nomination and thank you for sharing the story of Banni and so many others like him. Pat Conway speaking to Gavin on Morning Focus about his annual swim in aid of Burren Chernobyl Project which celebrates it's 45th year this year!! The Irish Independent wrote an article about Colm Flynn's Family and their fight for Banni. 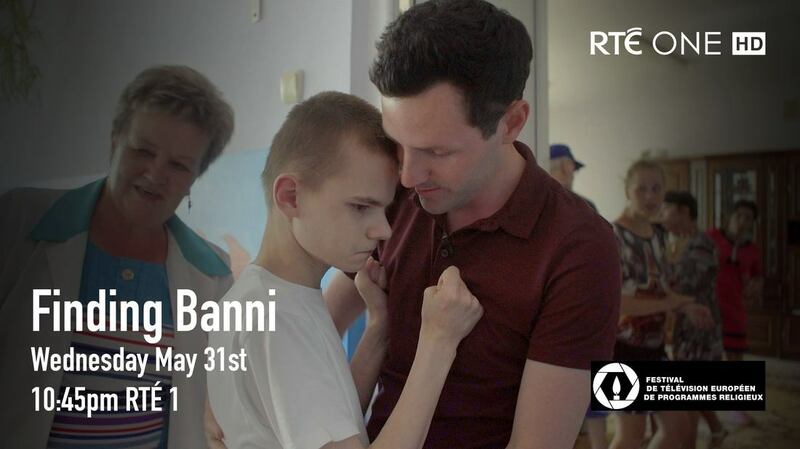 Wednesday 30th of November, RTÉ2 will air a documentary called Finding Banni. This documentary was filmed in Belarus this summer where the presenter Colm Flynn visited Banni. ​Banni, one of the residents at Gorodishche, was part of his family as a young child where he thrived under their love and care. Sadly the family were unable to adopt Banni and he has spent most of his life at Gorodishche. ​Brother Liam speaks about his involvement with the project over the past 15 years in an interview with the Clare Champion.